New Yorkers drink 6.7 times the amount of coffee consumed by the average citizen of any other US city. And coffee is big business, worth $100 billion worldwide – second only to oil. All throughout their history New Yorkers have been drinking coffee. 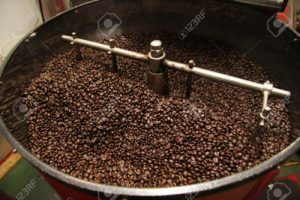 In the beginning of the 19th century, New York was one of the largest coffee roasting centers in the United States. Today, there are 3,389 coffee shops in NYC and all over New York, coffee roaster are opening at a high speed. Understandable, as 90% of the profits in the coffee supply chain are in roasting. But it’s also a industry that is inherently imbalanced and unfair. The average coffee farmer is struggling to make ends meet, making a meagre $3 per day. 67% of the coffee is grown in Latin America. 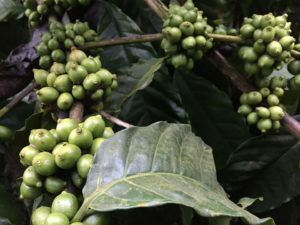 In Nicaragua, a country renowned for its coffee cultivation, most of their green coffee beans are exported to coffee drinking nations like the US. New York startup Vega doesn’t go with the general belief that further processing on rural locations is too complicated to generate profits, let alone high-quality coffee. On the contrary: Its Vega coffee proves that high quality and sustainability can perfectly walk hand in hand. Located in central Nicaragua surrounded by forested mountains lies Estelí. It’s there that Vega planted one of the few speciality-coffee roasters inside the countries borders. It aims to bring the pride and profits of the industry back to the coffee farmers. A classic chain makes the farmer’s green beans pass through multiple cooperatives and exporters, some with iffy practices, to arrive at a coffee-importing company. Once landed in foreign territory, it takes a distributor, to get the – still green – beans to a smaller roaster that’s interested Nicaraguan coffee, and who retails it later to stores or customers. Vega’s chain is different. Farmers have the ownership of the entire production process. First, the coffee is picked, washed, dried and selected by the farmers. Afterwards, the same farmers come down to the high-end roastery in Estelí to roast the beans into a flavorful coffee. They pack the coffee in original and compostable bags before it’s shipped to the US. Through the Vega-provided training they learn all the aspects of the process. This process cuts middlemen’s profits and leads the farmers to earn nearly 4x more. Farmers become producers. Which leads to bigger margins and to a much more sustainable lifestyle. In general, Nicaraguan farmers are only paid once a year. Whereas coming and roasting at Vega’s allows them to get a paycheck every two weeks. This means not only more income but also more financial security and a greater access to healthcare and funds for education. Each package of coffee is hand-signed by the farmer-roaster and includes a postcard with information about the producers, the farm and the flavour. This creates a unique connection between the Nicaraguan producer and the, mostly, First World consumer. Vega aims high. They want to build a roasting centre in every coffee growing region of the world and stand their ground to create worldwide a more equitable and fulfilling coffee experience.